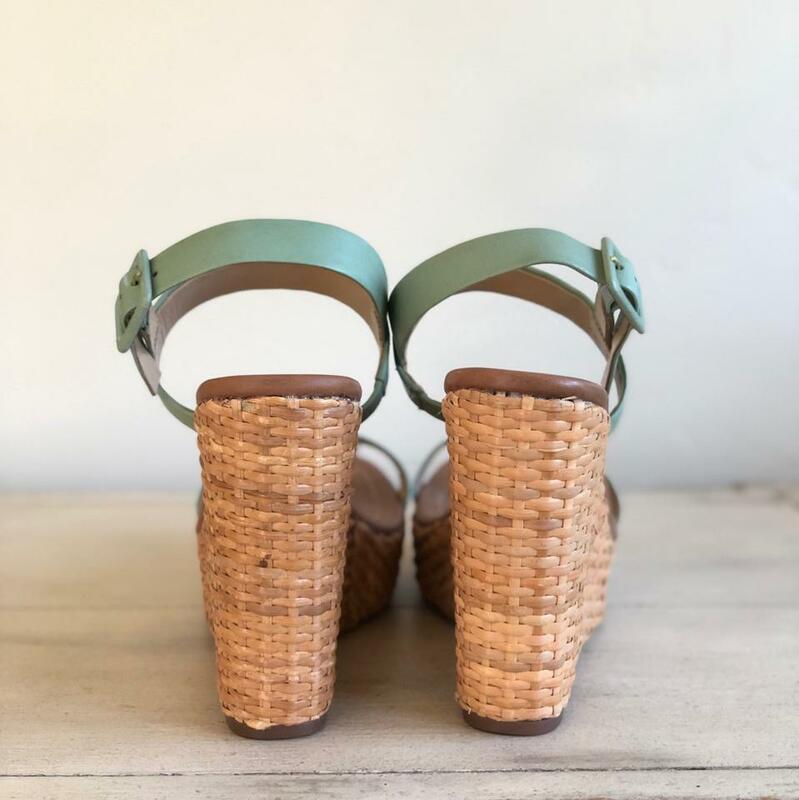 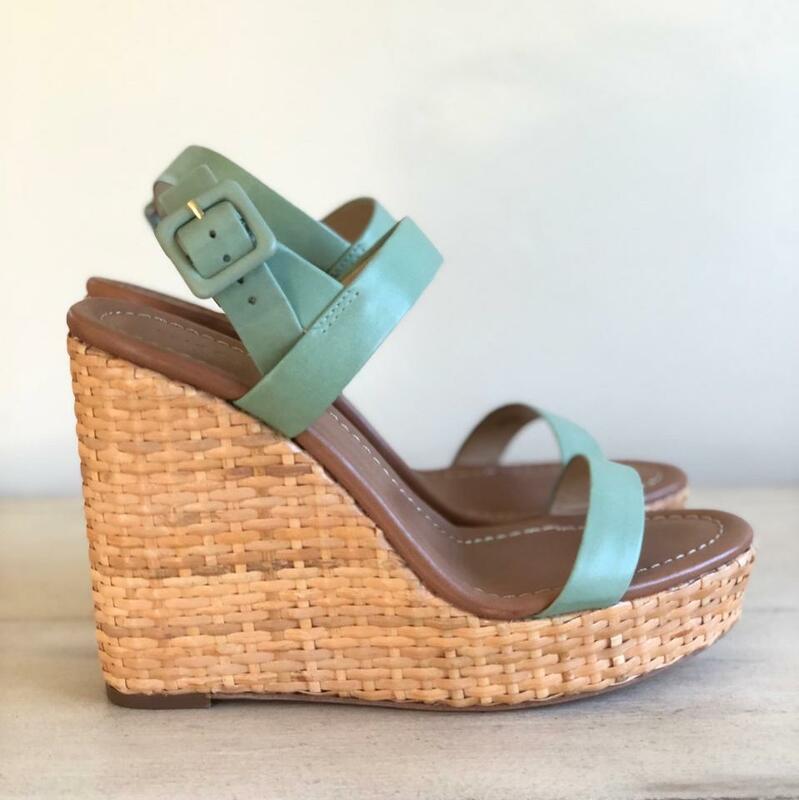 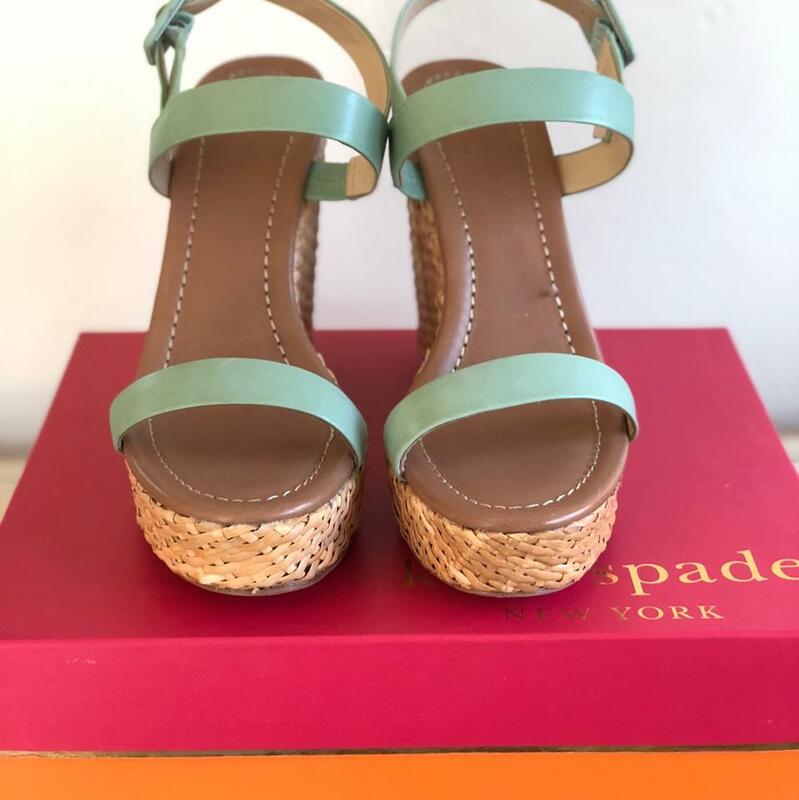 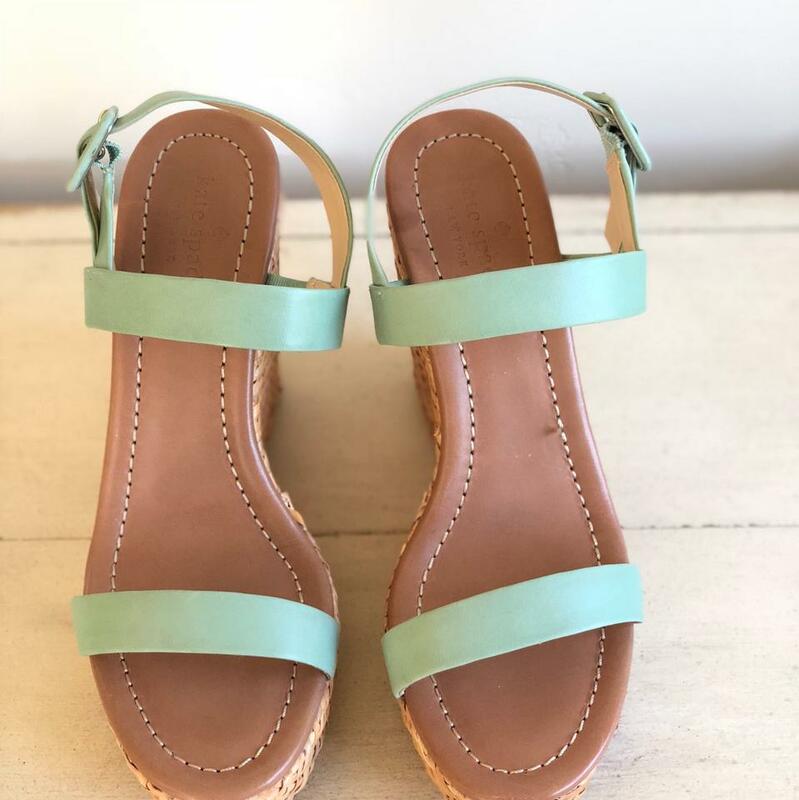 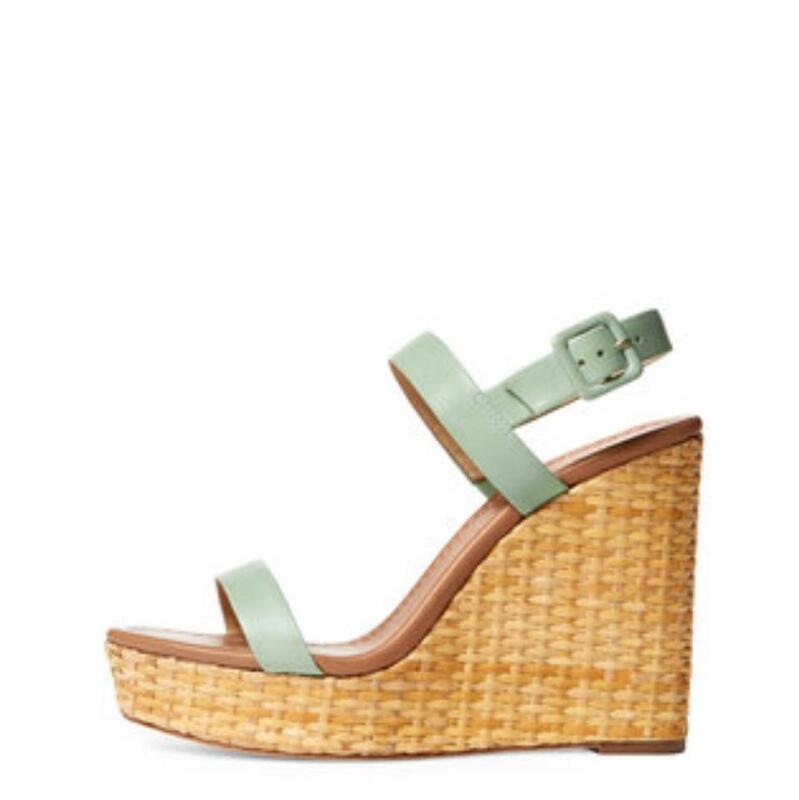 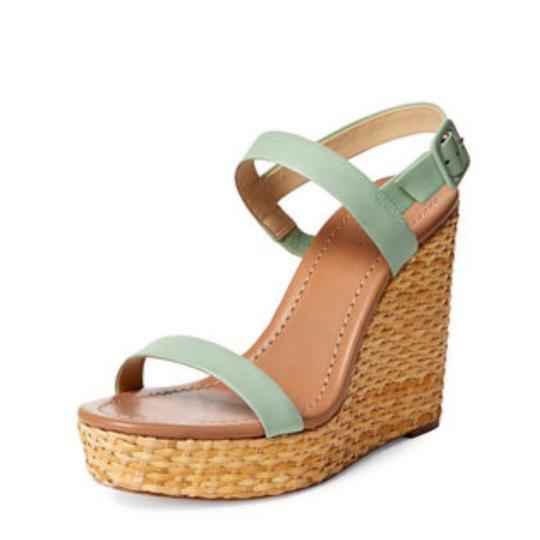 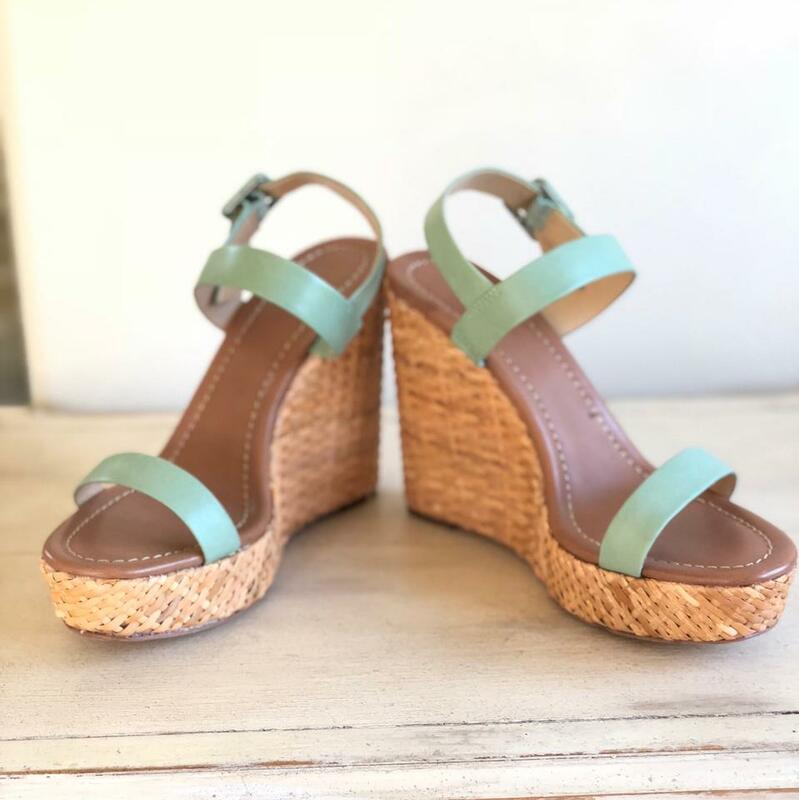 This high wedge sandal has a leather upper with an adjustable ankle strap. 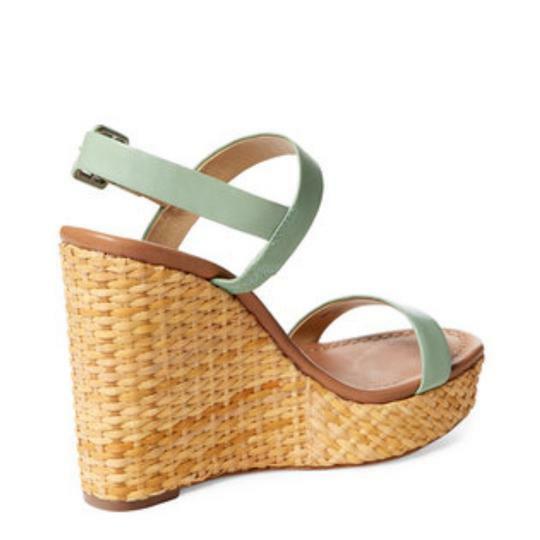 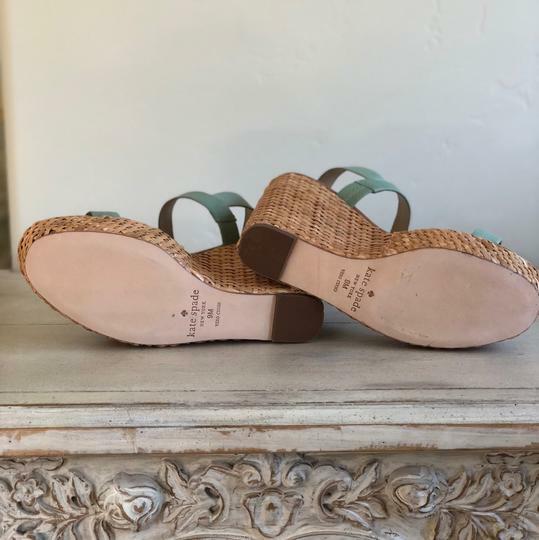 It has a leather insole and sole with a woven wedge. The height is 5" with a platform sole of 1 1/2".